Arsenal kept pace with the top four after beating Huddersfield 2-1 at the John Smith’s Stadium this afternoon. A deflected Alex Iwobi goal opened the scoring in the 14th minute and we doubled our lead via Alexandre Lacazette shortly before half-time. A routine win and a much-needed clean sheet was in sight but Sead Kolasinac scored a comical late own goal to gift the hosts a late consolation. Leno 6/10 | Had very little to do in terms of shot stopping but was perhaps a little unfortunate to concede their late goal. Koscielny 7/10 | Made a couple of important challenges and intercepted a number of crosses. Mustafi 5.5/10 | Caught out of position a few times and always looked on the verge of making a mistake. Monreal 6/10 | Could possibly have done better for their goal as he got himself all in a muddle. Wasn’t comfortable up against Diakhaby at times. Maitland-Niles 7/10 | Good to see him back in the team and gives us so much more going forward down the right than Lichtsteiner. Grabbed the assist for Lacazette’s goal. Guendouzi 6.5/10 | Couldn’t replicate his all-action display that he produced against City but kept things simple in the middle of the park. Torreira 6.5/10 | Still struggling to get back to his early-season form but still had a decent game. Subbed in the second half. Kolasinac 6.5/10 | A threat once again down the left flank and set-up the opening goal. Shame he ruined his performance with a silly late own goal. 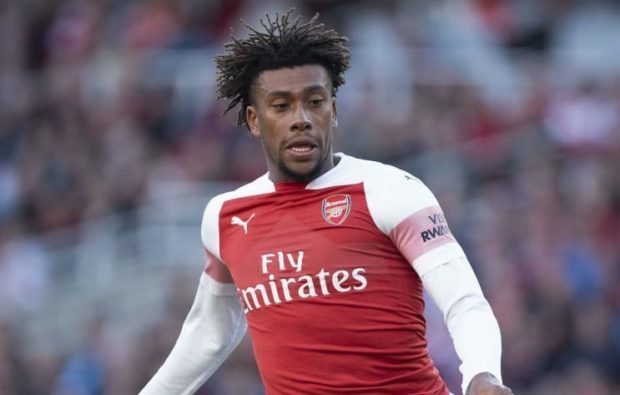 Iwobi 8/10 | Easily our best player. Scored the opener and almost had another in the second half. A constant threat going forward. Great to see. Lacazette 7/10 | He didn’t have his strike-partner next to him but Lacazette still managed to get on the score-sheet with the all important second goal. Good all-round display. Mkhitaryan 7/10 | Looked surprisingly sharp and was a real threat at times. Good on the counter attack but missed a good chance at 1-0. Elneny 6/10 | Another uninspiring cameo. Suarez 6/10 | Being eased in to action and will take a while to adjust.